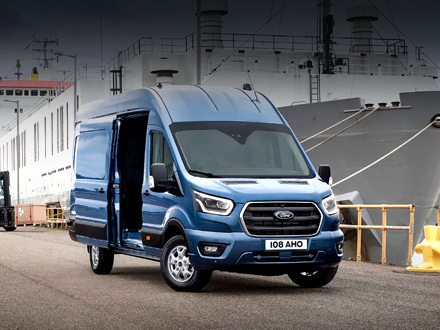 Why Choose a New Van from Sandicliffe? Experienced and knowledgeable sale team. We've been in business since 1948, so we're knowledgeable when it comes to helping you find the van you are looking for. Get discounted parts and accessories for your vehicle. Receive exclusive discount on genuine parts and accessories to kit your vehicle out after buying from Sandicliffe. Maybe you’d like a boot cover for your pet or a cycle carrier for your weekend activities. Prices of all vehicles are checked daily. Checking prices of all the vehicles on the market can be time consuming, it takes the fun out of buying. Sandicliffe have saved you the job, we check our prices daily and adjust to make sure you’re getting the best deal. Rest assured that any like for like deal cannot and will not be beaten by any other dealership. All your questions and queries will be handled directly by our team, saving time and energy. Retail ready for immediate Free Delivery throughout Mainland UK. All of our vans are ready to be sold and we will deliver it to you for free without any hassle. Free Delivery Throughout Mainland UK. No need to collect your van, we will deliver it to you for free without any hassle. Friendly support after you buy from Sandicliffe. Communication doesn’t stop after you buy from us, we’ll check in on you to make sure you’re happy and enjoying your vehicle.